Dr. Reiser has published two books on the subject of Cognitive Behavioral Therapy and has edited, co-authored and written essays and peer-reviewed articles. The effectiveness of CBT depends on the quality of the supervision and training that is provided to its practitioners. A Manual for Evidence-Based CBT Supervision is intended to significantly strengthen the available resources for training and supporting CBT supervisors. 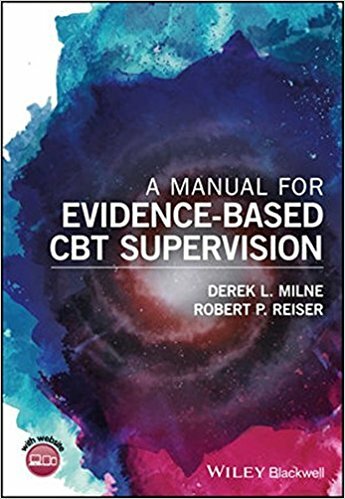 The authors drew on the insights of many accredited CBT supervisors to develop the guidance, and the work is built firmly on an evidence-based approach. This manual will also be useful for individual supervisors and to those who support and guide trainers and supervisors (e.g., peer groups, consultants, managers, administrators, training directors), as the authors include training supervision guidelines and training materials (e.g., video clips, guidelines and PowerPoint slides). An extensively updated new edition of the acclaimed guide to treatment of bipolar disorder, incorporating the latest research on psychosocial treatments and clear medication management guidelines. 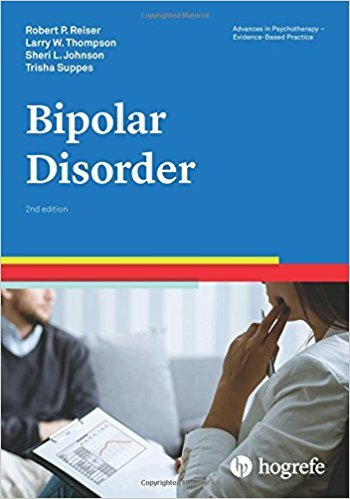 The expert authors, a team of psychotherapists, medical practitioners, and researchers, begin by describing the main features of bipolar disorder based on DSM- 5 and ICD-10 criteria. Current theories and medication management guidelines are described, along with decision trees for evaluating the best treatment options. They then outline a systematic, integrated, and empirically supported treatment approach involving structured, directive therapy. Special considerations, including managing suicide risk, substance misuse, and medication nonadherence, are also addressed. This compact, stand-alone resource aims to help psychotherapists, psychologists, medical and psychiatric practitioners, and nurses deliver the highest standards of care for people with bipolar disorder. A Spanish translation of Dr. Reiser's Bipolar Disorder book is available: Tastorno Bipolar on Amazon. Basco, M. (2005) The Bipolar Workbook- Tools for Controlling Your Mood Swings. Guilford Press. Miklowitz, D.J. (2010)The Bipolar Disorder Survival Guide- What You and Your Family need to Know, 2nd edition. Guilford Press. Scott, J. (2001) Overcoming Mood Swings: A self-help Guide to using Cognitive Behavioral Techniques. New York University Press. Jones, S. & Hayward, P. (2004) Coping with Schizophrenia: A Guide for Patients, Families and Caregivers. Oxford: One World Publications. Morrison, A.P., Renton. J., French, P., & Bentall, R. (2008) Think You're Crazy? Think Again: A Resource Book for Cognitive Therapy for Psychosis. Routledge. Mueser, K.T., & Gingerich, S. (2006) The Complete Family Guide to Schizophrenia. Guilford Press. Torrey, E.F. (2013). Surviving Schizophrenia: a Family Manual, 6th edition. HarperCollins. Overcoming Paranoid and Suspicious Thoughts: A self-help guide using cognitive behavioral techniques. Daniel Freeman, Jason Freeman, and Philippa Garety. Back to Life, Back to Normality: Volume 2: CBT Informed Recovery for Families with Relatives with Schizophrenia and Other Psychoses. Turkington, D et al (2009) Cambridge University Press: Cambridge. CBT for Psychosis. A symptom based approach. Hagen, R., Turkington D eds (2011) Routledge: New York. Beck, J.S. (1995). Cognitive therapy: Basics and Beyond. New York: Guillford Press. Kingdon, D., & Turkington, D. (2006). Cognitive-Behavioral Thearpy of Schizophrenia. New York: Guillford Press. Please enter the front of the building on Sir Francis Drake and my office is on the ground floor, the third door on the right. I will meet you in the waiting room. The cross street from Sir Francis Drake Boulevard is Butterfly Lane. Parking is available outside the building. To enter the parking lot you must take Butterfly Lane and then an immediate left after the office building to enter the parking lot.